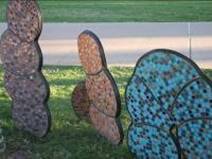 Mosaics are the perfect art form for public art. 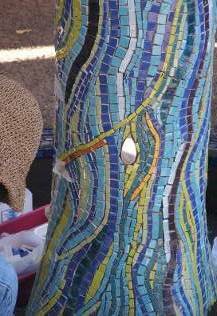 Mosaics are vibrant, eye catching, textured and relatively difficult to vandalise. 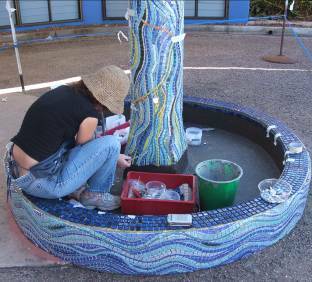 Claudia specializes in mosaics as an art form and can help you from the very beginning of concept design right through to final installation. Hand cut vitreous glass & ceramic. 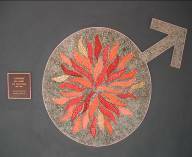 Claudia and students from her Beginners and Intermediate classes were involved in producing a mosaic for the new Bush Chapel in Ayr’s Plantation Park. See the finished work right. 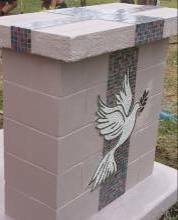 Hand cut ceramic, vitreous glass, laser cut stainless steel, mosaic water feature. Finished work at the Lower Burdekin Home for the Aged entrance. 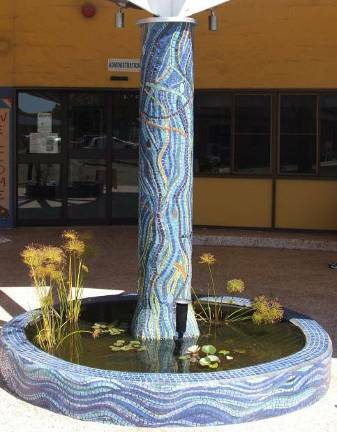 Hand cut ceramic, vitreous glass, laser cut stainless steel, mosaic water feature.